STOP battling against a sense of somehow not being good enough. Feel an overriding sense of peace with themselves, within their bodies, and within their choices. I also speak to couples who are fighting a different kind of war. A war of words and a war of hearts. When I talk, I go deep. I’ve overcome tremendous adversity, and I’m here to teach you what I learned through excruciating hardship. My stories are powerful . . . and they’ll touch your soul. Do you feel as though there’s a commentary running alongside everything you do—an endless diatribe that has ground you down and forced you to take shelter from the outside world? It’s not the outside world that’s responsible for your distress, it’s the inner battle you’ve been fighting since before you can remember. Ever feel like, when you say “sorry” and surrender your position in an argument, you’re losing? But what if your relationship isn’t about position? What if it isn’t about winning or losing? What if, instead, it’s about creating a deeper connection, communicating more, and committing more? Thanks to Karen's amazing clarity and insight, when I look in the mirror, I no longer feel shame or long to be invisible. I don’t have to hide in fear, believing that I’m damaged. I finally see the crazy-beautiful, creative woman I am—one who is greatly loved, and capable of great love." Karen has given me my freedom back. Through her coaching, I’ve finally been able to accept who I am and who I was made to be without feeling self-condemnation or guilt. The fact that Karen genuinely cares helped me to grow to the point that my inside now matches my outside. Karen has helped me to get rid of the masks I used to wear." Karen Hudson is a freedom fighter, fear slayer and founder of Change From The Inside Out. As a Board Certified Health and Life Coach, inspirational speaker and expert teacher, she is committed to helping people stop the war within and live at peace with themselves, their bodies and their choices. With three certifications in NLP, two in Family Systemic Constellations, and a master’s degree in Human Systems Theory, Karen has trained as a Level III coach with Rhonda Britten’s Fearless Living Institute and worked as one of Dr. Phil’s senior life strategists for the past decade. 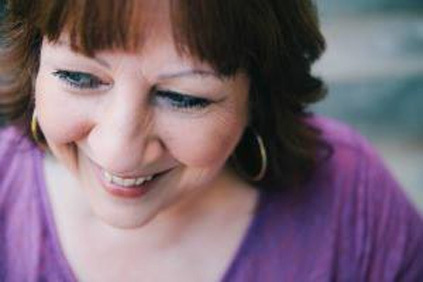 Karen’s overriding mission is to take women, men and couples from feeling stuck and powerless to feeling radically empowered by choosing, believing, and practicing self-love. Based in Portland, OR, you can find her on Facebook and Twitter. For Karen’s full story, click here.